Earlier this month, RAPID + TCT brought the latest technologies and partnerships in the 3D printing world to the forefront as the event hit the Steel City for 2017. In the midst of industrial additive manufacturing, high-level conversations, major product and collaboration announcements, and a general meeting of the minds was a breath of fresh air in the form of artistic vision. The 3D printed fashion show has become an anticipated part of the event, as last year I attended my first-ever fashion show and watched the high-tech garments and accessories hit the runway. This year, the crowd was large, easily spilling beyond the rows of seats as the fashion show closed out a busy day of sessions and exhibitions. We’ve seen designs from each of these creators before, such as Thaphthimkuna’s 3D printed Vortex Dress, seen on the runway this month, which received a funding boost via Kickstarter. Koerner’s fashion brings together haute couture and wearability, while Saga had shown designs at last year’s RAPID as well as several other events we’ve seen. Fashion collective threeASFOUR, comprised of designers Gabi Asfour, Angela Donhauser and Adi Gil, has caught our attention several times with inspired designs, from this year’s Met exhibit to New York Fashion Week, and bringing the Oscillation Dress to the RAPID runway. Each showcased designer utilized 3D printing technology to highlight different areas of artistic vision, from regal accessories to out-of-this-world styling as high-tech hit the runway to show off just some of the versatility that 3D printing can offer to fashion design. 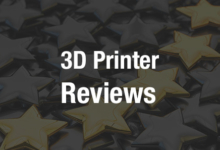 Share your thoughts in the 3D Printed Fashion Show forum at 3DPB.com.